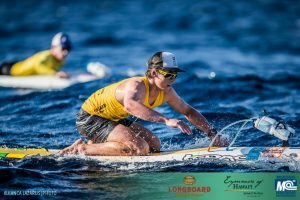 Congratulations to Callum Sutton in Year 11, who has recently competed in the 2018 Molokai 2 Oahu Paddleboard World Championships for the second year in a row, achieving an incredible 7th in the world. Callum (17 years of age) paddled the 32 Miles (54 Kilometres) in 7 hours and 22 minutes in the Men’s 18-29 years SOLO Stock Prone Board division. The event was held in the worse conditions in race history, competitors paddled between the island of Molokai and the island of Oahu, Hawaii through the Kaiwi Channel (The Channel of Bones). Callum competed against the world’s best including the current World Surfing Champion John John Florence.